Fresh corn on the cob is in season, and we always try to take advantage of the harvest before it’s over. Our favorite way to prepare fresh corn is to boil it for a few minutes, slather it with butter, season it with salt and pepper, and eat it directly off the cob. 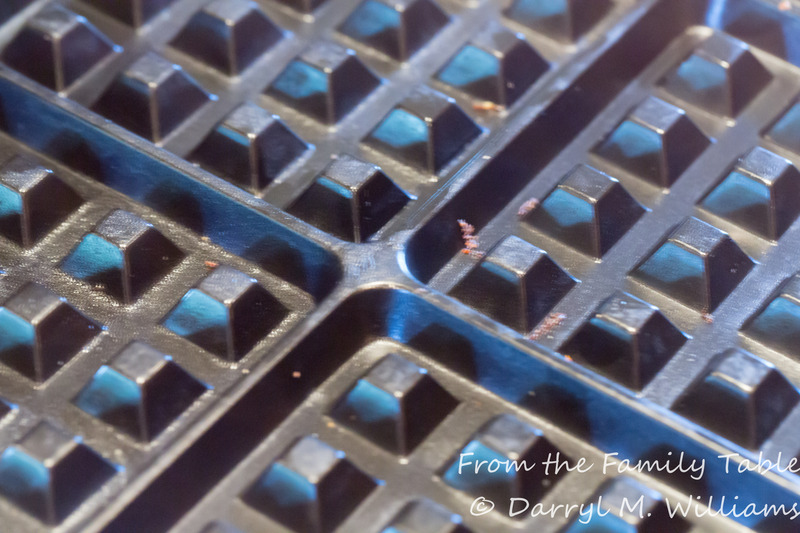 In our family, there are those who use the circular approach, eating the kernels in orderly fashion as they turn the ear of corn in their hands, and there are those who use “the typewriter” approach, working systematically from one end of the ear to the other before starting over. Either way seems to work. Very atypically, we had some boiled ears left over after a recent meal, but I didn’t want them to go to waste. My first thought was to make corn soup or chowder. That can be delicious as we found out when Sarah and Evan served it at one of their demonstrations in Shreveport. Then I remembered, I had some leftover bacon (Is there such a thing as leftover bacon?) and that made me think of waffles. 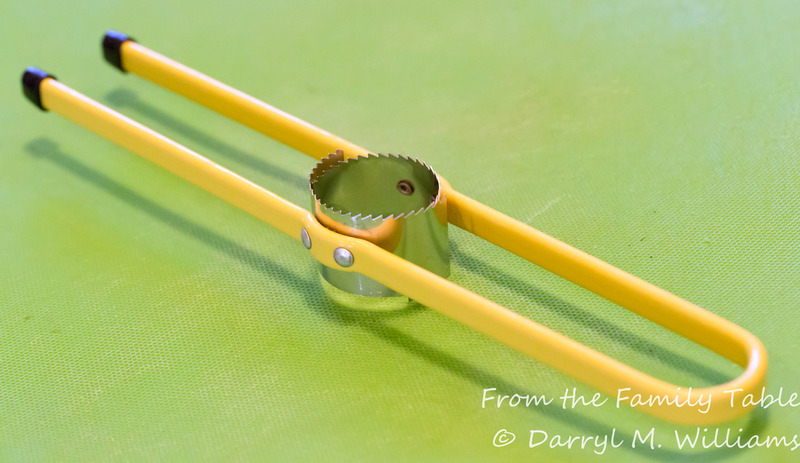 First, I cut the corn kernels off the cob using my special corn cutter. It really doesn’t work all that well, but it is one of those gadgets I am reluctant to throw away. I think a sharp chef’s knife works as well or better. I roasted the corn by popping it in a medium oven for twenty minutes until some of the kernels were lightly caramelized. Then I added the roasted kernels to the cornmeal-based waffle batter and went from there. Here’s the recipe. Cut the kernels of corn off the cobs with a sharp knife or with a special tool. Place the cut kernels in a rimmed baking sheet and place in the middle of a pre-heated oven at 350° F. Turning every five minutes, roast the corn kernels until they are lightly browned. Remove from the oven and cool. In a large bowl, beat the eggs lightly. Then stir in the buttermilk. 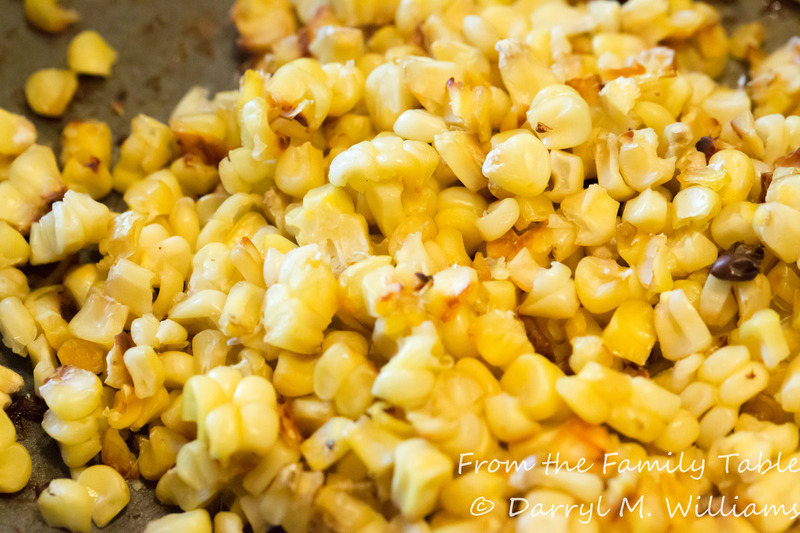 Stir in the roasted corn kernels. Add the bacon fat, and stir until incorporated. Ladle the batter into a heated waffle griddle, making sure the corn is well mixed in. Then sprinkle 4 to 6 bacon pieces on each waffle segment. When the waffles are brown, repeat until the batter is used up. 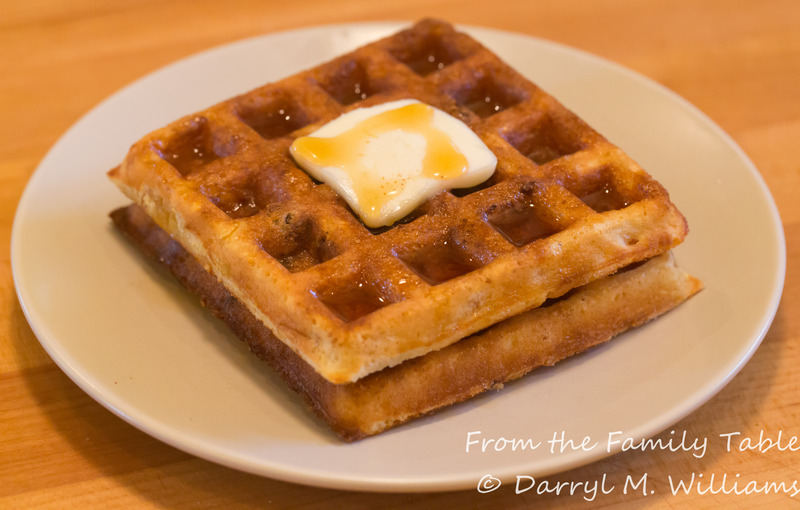 Serve the waffles while still warm with a poached or fried egg on top or with butter and maple syrup. Makes 8 to 10 4½ inch square waffles. Sounds like a fresh corn throw down may be brewing! I’ll be making these waffles. Fresh corn is one of those things that is only here for a moment. You need to use it as much as you can. Liked your post about corn. This combines a lot of favorites. I am sure we will be making this soon! You’re right. I just dreamed that up. Leftover bacon is mythical. Yum! These look great! We’re heading to the Bay Area for Christmas this year and hoping to book in at Rich Table! I can’t wait to try your daughter and son in law’s fabulous cooking! Be sure to let me know when you will be there so I can alert Sarah and make sure you have a spot. Corn and bacon…a great combination. Adding them to waffles sounds great. Thanks, Karen. The waffles were good, but not at the same level as the Biltmore. Darryl…YUM! What a fantastic and impressive addition to a breakfast buffet or for a hearty breakfasts for guests. I know I would love these.A ‘must-try;. Around here, we sometimes use blue cornmeal. As to e-mails, I am afraid they have become a noose around all of our necks.